Performance in Ironman – small changes to success. When we stop seeing the challenge of Ironman as finishing and start looking at how fast we can get to the line the dynamic of our thinking and training changes. The biggest challenge when we start thinking like this is accepting that failure or a long walk to the finish line is a BIG and real possibility. The training commitment and expense of the racing itself can make this too much of a risk for most of us especially when it is likely we can only commit to one Ironman race in a given year. 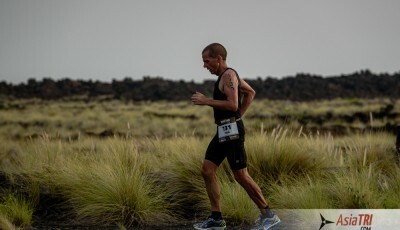 To have gotten to the stage where we are looking at times and performance we have likely been successful and performed well in previous races and have followed a plan to get there, the biggest mistake I see made is assume to get faster we need to be pushing much harder in training or doing much more training – both recipes for disaster! First step in taking on this challenge is looking at previous training and races, have you steadily improved performance over a number of years with a similar training volume and intensity? If you can answer yes to this then you are still getting stimulus and adaption to this training load and there is no reason to increase as it would follow that the improvements will continue to come. In this circumstance we want to look at our races and see if there are any small areas of weakness we may need to improve on, by this I mean if there are certain things that we always struggle with in races. For example we may tighten up or start cramping towards the end of the swim or we may find it hard to cope with small changes in gradient or accelerations during the bike section. Once we highlight these points we can look to integrate fixes into our existing program – small changes in interval set up for example can elevate these issues in future race’s yet the stimulus from sessions is not too different and not risking a total change in stimulus. Let’s look at how we could fix the 2 issues highlighted above. The Ironman swim is a long swim and places a big demand on the body that is very hard to replicate in a pool, we will all struggle to hold good technique for a full 3800m, small things we would not think about can lead to big determinations on technique when swimming open water. We all feel fatigue in shoulders and lats when swimming and assume the increase of this fatigue as the race goes on is simply due to fatigue in hugest muscles but our core strength or lack of it can be the real reason for increasing fatigue. Even though we are supported by the water to an extent we still need to have a strong core in order to hold an optimum position for an effective pull, as our core fatigues we lose this position and usually to a significant extent and this leads to more drag and the swimming muscles have to work much harder for the same speed hence the feeling of increased fatigue. As most of us can’t regularly swim open water we never get to see this fatigue come into play as the small rests we get as we turn in a pool are enough to prevent this fatigue kicking in. The most common areas of cramping when swimming long distaste are gluteus muscles and hip flexors – the hips play a huge role in swimming and body position and if they are not strong problems will arise when racing. A small core routine incorporated into your weekly training can lead to a significant change in performance. When I say set up a core routine to strengthen hips I am not talking about heading to the gym and spending an hour working out – a hip strengthening routine can be done at home or at the pool before or after a swim session or as a complement to your bike and run training, I find using the exercises as your warm up to be the most effective use of time. Go through the following exercises twice working for 30 seconds and resting for 15 seconds. See videos for how to do exercises. Start adding this in now twice a week and you will feel the difference on the race day as you fatigue less at the end of your swim and also head out fresher and stronger into the bike! In Ironman while drafting is not allowed riding legally paced groups is inevitable and even if we want to ride to our own effort or power we have to be aware of the group dynamic in order to avoid penalties and optimise our performance. One thing that always happens in such circumstances is the pace will suddenly increase or decrease and also the need to increase power for small inclines will be needed in order to maintain position and avoid penalties if riding in a large group. These small accelerations and spikes can really hurt your performance if you are not used to them as they can rapidly burn through fuel and if you can’t recover quickly and get back to normal heart rate your endurance will suffer. If this is something you suffer from then we can change the dynamic of one of your interval bike sessions to incorporate a similar stress and allow the body to get used to going above comfort zone and then coming down again many times, the more we do this the more your body will get used to the stress and come back to normal faster. 3min easy recovery and then repeat desired number if times. 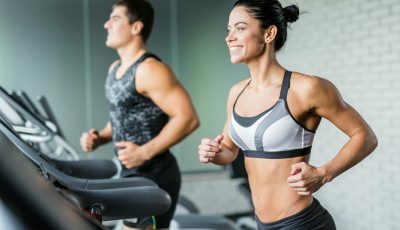 The first times you attempt a session like this you will find it very tough and breathing will be stressed more than anything but you will find over a number of weeks breathing becomes more steady and recovers rapidly after the hard efforts. This session would replace your normal race intensity session in your weekly plan, for example this could be the classic 2x20min hard session that is used by many athletes. 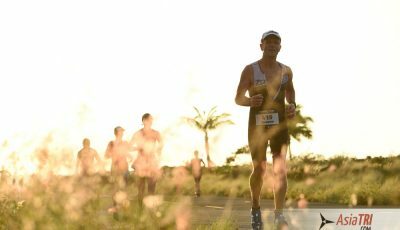 So if you have decided to see just how fast you can go and really race your next Ironman resist the temptation to increase volume and intensity rather look at the small changes needed to address your weakness when racing. When race day comes it is all about executing your fitness and taking the risk of blowing up!